The Wimbledon Championships, more commonly known simply as Wimbledon, is the oldest tennis tournament in the world, the last grand slam tournament that's still held on real grass, and you can catch every moment of the action without ever turning on your television. 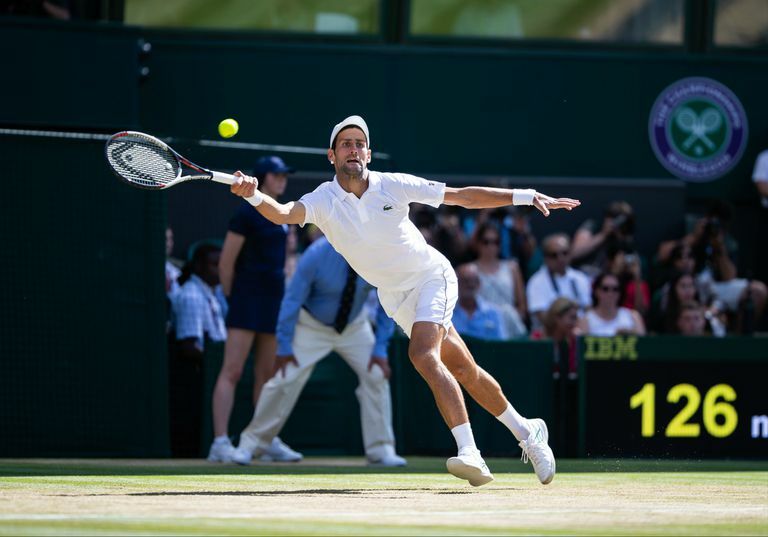 ESPN has the the broadcast rights to broadcast the Wimbledon Championships again in 2019, so cable and satellite subscribers can watch the Wimbledon live stream through the official WatchESPN site. Everyone else can watch the Wimbledon live stream through online streaming service like Sling TV. To watch this live stream, all you need is a high speed internet connection, a device like a smartphone or laptop, and the right television streaming app. Cable and satellite television subscribers can watch Wimbledon on ESPN and ESPN2, but what if you don't want to sit in front of your television for two whole weeks in July? WatchESPN is a streaming service that's available to cable subscribers, and you can use it to watch the Wimbledon live stream on your computer, phone, tablet, or even game console. The only requirements are that you need a high speed internet connection, and your cable subscription needs to include ESPN and ESPN2. The WatchESPN website works on Windows, MacOS, and Linux computers and laptops, as long as you use a web browser like Chrome or Firefox that supports streaming. You don't need to download an app, because you can watch the live stream right on the website. Navigate to the WatchESPN.com when the Wimbledon Championship is on the air. Locate the player that is labeled Wimbledon, and click the play button. If you see your cable or satellite provider's logo in the upper right corner of the page, you may not have to log in. Click on the player that says Wimbledon, and the live video will start playing right away if you were logged in automatically. If the Wimbledon live stream video doesn't automatically open, return to WatchESPN.com and click the play button again. What Streaming Services Include the Wimbledon Live Stream? Cord cutters aren't able to use WatchESPN, but that doesn't mean you're cut off from the WImbledon live stream if you don't pay for cable. Instead of using a cable subscription, cord cutters can watch all of the same action through any television streaming service that includes ESPN and ESPN2. Streaming services provide access to the same live television channels that you would normally watch through a cable or satellite subscription. Instead of using a cable connection or satellite dish, you stream the live video over a high speed internet connection. These services typically offer more options, and cost less, than traditional cable television. Since the entire Wimbledon tournament is broadcast on ESPN and ESPN2, it's important to select a service that includes access to both of these ESPN channels. Most streaming services include ESPN, but a few popular services don't carry it. Sling TV: ESPN and ESPN2 are both included with the affordable Sling Orange plan. Other services charge more and offer more channels, but this is a great choice if all you care about is Wimbledon. All of these services provide some type of free trial, so pick your favorite and you can start watching the Wimbledon live stream for free. The WatchESPN website is designed to work with laptop and desktop computers, so it may not work on your mobile device. If you want to watch the Wimbledon live stream on your phone, tablet, or a streaming device like Roku or Apple TV, you need to download the ESPN app on your device. This option is only available if you have a cable or satellite subscription. The ESPN app only allows you to stream live events like the Wimbledon Championships if you subscribe to cable or satellite television. If you don't, then the streaming services in the previous section all have apps as well. The Championships, Wimbledon, more commonly known as just Wimbledon, is the oldest tennis tournament in the entire world, and the third grand slam of the Tennis year, so there's a lot of action to catch over the course of this exciting two week tournament. It gets started on July 1 with Round One, and finishes off with the Women's Final on July 13 and the Men's Final on July 14.